We are the first cremation society in Mid & Northern Michigan, to exclusively provide direct cremation services. Pre-registering with us assists your family with planning the type of services that are consistent with your wishes and that honor your life story. This relieves your survivors from making choices and significant and important decisions while under emotional distress. Our legacy of dedication, trust, and family ownership offers you and your loved ones over a century of experience. Our mission is to provide direct cremation services at a fair and economical price with dignity, compassion, and understanding. We believe this affords you and your loved ones both financial and emotional peace of mind. The mission of Cremation Society of Mid Michigan is to offer stress free and efficient pre-registration for services without pressure. With us, those that choose cremation are treated with respect and dignity. Cremation services with us, are our only focus and not a sideline to the often more costly option of "traditional funerals". For clients that are not pre-registered with us, the charge is $ 1,250.00, however, for those who pre-register with us, our charge is $ 925.00 . Our charges include: removal of the deceased from the place of death, the cremation container, the cremation process itself, the return of the cremated remains in a solid container suitable for storage or burial depending on the requirements of individual cemeteries, generation of and obtaining physician signatures on a death certificate, notification of Social Security, scheduling of burial or entombment at a National Cemetery, assistance with DHS applications, and assistance with paperwork for County Burial Benefits for Honorable Discharged Veterans. We provide service to clients in all Mid and Northern Michigan counties, however, there is no mileage charge for those within our service area which includes: Arenac, Bay, Midland, Saginaw, Tuscola, Iosco, Gladwin, Genesee & Siawassee Counties. For other counties a minimal mileage charge will apply. 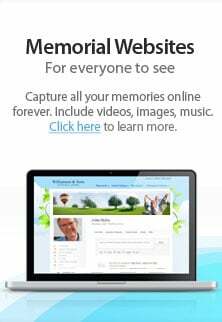 Additional assistance with obituaries, memorial folders, holy cards, etc. is also available.